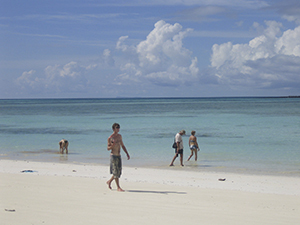 A 7-day / 6-night Bungalow Package on the Idyllic Madagascan Island of St Marie. Departures: Every day, subject to flight availability. St Marie, optional activities (own expense): Pirate cemetery, snorkelling, Scuba diving, deep sea fishing, whale watching, tours of the island. 6x Breakfast, 5x Dinner. Meals included in your safari will be taken in the restaurants at the various accommodation establishments. Please advise us of any special dietary requirements in advance. • Please note a seasonal surcharge for meals is applicable over Christmas & New Year’s. You will be met on arrival to Ivato airport and transferred your hotel in Antananarivo, where you can relax from your flight and take a swim. Depending on your arrival time, there may be an opportunity for you to ask the hotel to do a tour to the handicrafts market (additional expense). Classic Overnight: IC Hotel or similar (en-suite rooms with hot water and balcony. Restaurant, bar and swimming pool). Superior Overnight: Carlton Hotel or similar (en-suite rooms with hot water. Restaurant, bar and swimming pool). Meals: Lunch and Dinner for your own account. After a quick breakfast, you will be transferred back to Ivato airport for your flight to St Marie. 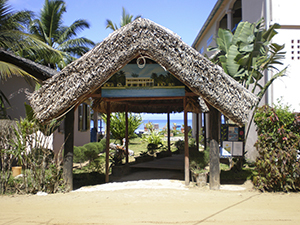 On arrival, you will be met at the airport & transferred to your hotel on this tropical island. 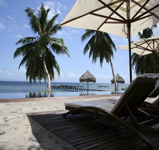 With a private beach & pool, your hotel offers complete relaxation on this beautiful island. 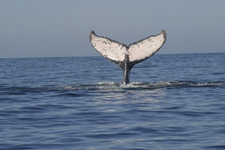 The hotel can arrange many excursions for you from boat tours to different parts of St Marie, to road trips, whale tours (in season) and quad bike tours. Classic Overnight: Vanivola “Hotel de Charme” or similar (Double/Twin Classique Bungalow with en-suite bathroom. Set on a private beach, with restaurant, bar and swimming pool). Superior Overnight: Princesses Bora Lodge or similar (Comfort bungalow containing a private terrace, en-suite bathroom, safe, mosquito netting and fan. Set on a private beach, with restaurant, bar and swimming pool). Meals: Breakfast: IC Hotel / Carlton Hotel or similar; Lunch: For your own account; Dinner: Vanivola “Hotel de Charme” / Princesse Bora Lodge or similar. At leisure. Ask at reception about the many excursions on offer. The sea is safe for snorkelling, or you could book a few days of scuba diving! 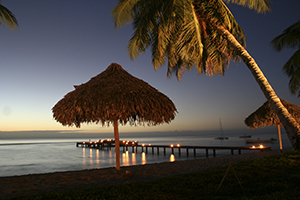 Fishing trips may also be arranged, or simply just enjoy a cocktail or two on the beach admiring the hues of sunset. All these excursions are booked in your own time and are to your own expense. There are many hotels along the main road to offer you variety for dinners and lunches, or you could take a stroll into the small town of Ambodifotatra to explore some boutiques or the local market (Tuesday and Thursday). After a leisurely breakfast, check out of your hotel and transfer to the airport for your departing flight to Antananarivo and onwards home. We hope to welcome you back to Madagascar in the future. Meals: Breakfast: IC Hotel / Carlton Hotel or similar. 5 Nights accommodation at a mid-range, or luxury accommodation on a half board basis (breakfasts and dinners), 1 nights accommodation in Antananarivo on a bed and breakfast basis. Transfers airport / hotel / airport. All Optional excursions mentioned in the program, all lunches, and dinners in Antananarivo, International and domestic flights and their taxes, all personal expenses, insurance for luggage, tips, drinks, laundry and visa. Classic Option: Accommodation will be in mid-range hotels. • Day 1: Antananarivo: Antananarivo: IC Hotel or similar (en-suite rooms with hot water and balcony. Restaurant, bar and swimming pool). 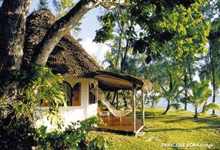 • Days 2-6: St Marie: Vanivola “Hotel de Charme” (Double/Twin Classique Bungalow with en-suite bathroom. Set on a private beach, with restaurant, bar and swimming pool). Superior Option: Accommodation will be in mid to upper range Hotels. • Day 1: Antananarivo: Carlton Hotel or similar (en-suite rooms with hot water. Restaurant, bar and swimming pool). • Days 2-6: St Marie: Princesse Bora Lodge (Comfort bungalow containing a private terrace, en-suite bathroom, safe, mosquito netting and fan. Set on a private beach, with restaurant, bar and swimming pool). Antananarivo, better known in the short version Tana, is the bustling capital of Madagascar with about 2,000,000 inhabitants. Situated in the high plateau, the city wasin 1610 by a Malagasy King. To protect the newly gained territory he left 1000 men behind and that's how Antananarivo got its name (town of 1000). It has developed to a quite interesting city with a lot of contrasts. Thus that Tana habits the country's major international airport, most visitors will find themselves at least passing through the city. But you should spend some days here and explore the city, visit the market places and Roya. Roya is a palace and one of the main features of Tana. It is built on the highest hill and can be seen from for tens of kilometers in any direction. Ile St. Marie, Madagascar is known for its beautiful white sand beaches and coral reefs. Its dense vegetation and the difficulty of navigating the lagoons which surround it, made it an ideal base for pirates and, later a colony for convicts. Today the island is a vacation paradise. It has the world's only pirates' cemetery and visitors can walk among cashew and cinnamon trees, snorkel from the offshore islet or dive from one of the beautiful sandbanks. 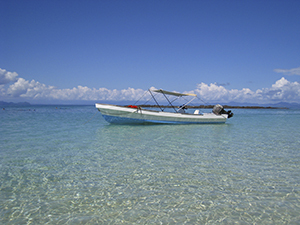 The island is less touristy than other resort islands of Madagascar, making it an ideal location to relax and enjoy the sunshine.